Aeroprobe’s Micro Air Data System will be mounted on the Dream Chaser Engineering ETA and will be used during the approach and landing or free-flight tests to help the SNC’s flight control team assess whether the conditions to release the vehicle are met. The data produced by the air data computers during the test will also play a critical role in the post mission analysis and validation of the on-board air data system. The Air Data System uses the combination of a lightweight micro air data computer, a multi-hole probe, and pressure sensors to derive airspeed, Angle of Attack, Pressure Altitude, and Angle of Sideslip with low latency and no moving parts. This data is streamed in real-time to a flight controller and logged to the aid data computer’s on-board flash memory data storage device. Measuring the Dream Chaser® Angle of Attack and Angle of Sideslip in flight permits for more precise control and greatly aids in the validation of Computational fluid dynamics simulations to accurately model the flight test. 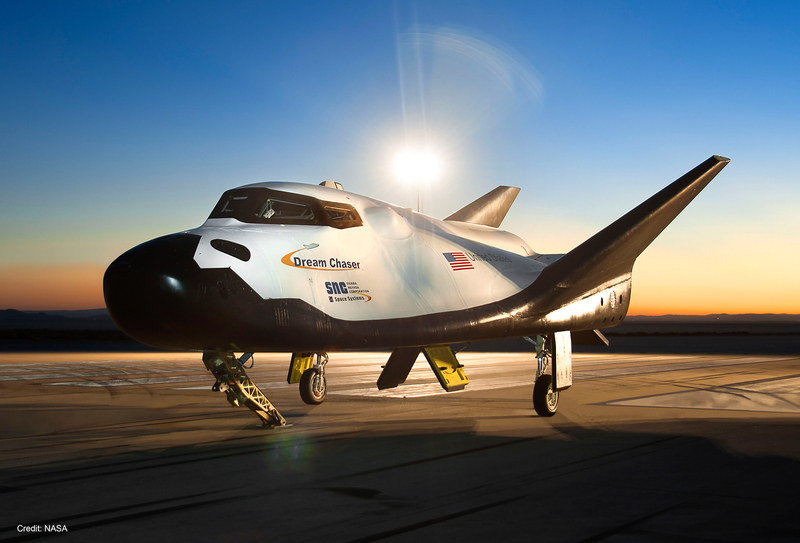 SNC’s Dream Chaser spacecraft is the only reusable, lifting-body, multi-mission-capable space utility vehicle with a commercial runway landing capability, anywhere in the world – offering safe, affordable, flexible and reliable crewed and uncrewed transportation services to low-Earth orbit (LEO) destinations such as the International Space Station (ISS).